Living in the Northeastern School District can be ideal for parents who wish to raise their children in a rural or small-town environment with a slower pace of life. CENTURY 21 Core Partners routinely lists many homes in Northeastern School District for sale, including single- and multi-family dwellings, mobile and modular homes, and farm properties. We’re committed to providing a high level of customer service that has been associated with Century 21® for more than 40 years. The Century 21® brand was the recipient of the highest numerical score from first-time and repeat home buyers in the J.D. Power 2014 Home Buyer/Seller Study. The Northeastern School District is a midsized rural district encompassing approximately 50 square miles in York County, Pennsylvania. 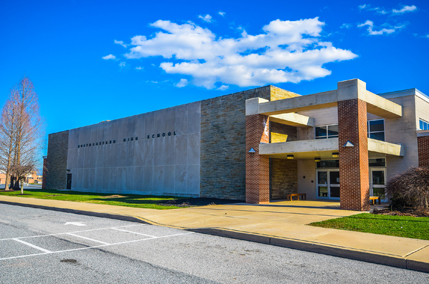 The district serves the educational needs of about 4,000 K-12 students residing in the boroughs of Mount Wolf, Manchester, York Haven and Goldsboro, as well as Conewago Township, East Manchester Township and Newberry Township. The district consists of four elementary schools, two intermediate schools, a middle school and a high school. In 2012, the Pittsburgh Business Times ranked the Northeastern School District 211th out of the 498 Pennsylvania public school districts in terms of overall academic achievement. The average scores for students taking the SAT were 497 Verbal, 509 Math and 475 Writing. The statewide averages were 491 Verbal, 501 Math and 480 Writing. The Northeastern School District covers an area where you can enjoy small-town living and an enviable lifestyle. Also, you live in an area that offers plenty of common services and things to do. Here’s a look at some of the services you might be interested in, both in the Northeastern School District and just a short drive away. The good news is you enjoy multiple options when looking for a bank in Manchester and throughout the Northeastern School District area. Some of the more popular options include BB&T, M&T Bank and Santander. One of the good things about having multiple options is that these banks must compete for your business. Also, with BB&T, you enjoy access to a bank that does business nationwide, which often means prevalent ATMs and other amenities. The two most prominent grocery store chains in the immediate area are GIANT Food Stores and Weis Markets. You’ll be able to find almost anything you need at these chains. If you’re looking for something more organic, try United Natural Goods to the north of Manchester. You also enjoy access to different options at Saubel’s Markets in East York and El Sol Mexicana Store. While the Northeastern School District is a great place to live, most of the significant shopping centers are a short drive to the south. For example, you’ll find West Manchester Town Center, the York Galleria Mall and the Colonial Shopping Center just a quick drive away. In and around the Northeastern School District, you’ll find more in the way of local businesses and establishments. This area includes a local favorite in the Manchester Café, as well as expected chains like McDonald’s and Subway. Stop by one of the many local pizzerias for a slice, including Jim & Nena’s, Marcello’s, Debbie’s and the Pizza Box & Hoagie Shop. For nightlife, try the Kickin’ Kadilaks Bar and Grill. Your two best options to stretch your legs and enjoy a park-like atmosphere are the Manchester Playground and Park and Dauberton Park. The Manchester Playground and Park sits in the heart of Manchester near the Northeastern School District offices. Dauberton Park runs along Hartman Run, which is a creek that flows north and south through town. Manchester and the surrounding areas that encompass Northeastern School District are lightly populated and offer a small-town feel. For that reason, many of the best events take place just to the south in York. The biggest of these events is the York Fair, which is known as “America’s First Fair.” It takes place each September, and it should be a can’t-miss event for those living in Northeastern School District and throughout the region. If you’re like the vast majority of home buyers, you’ll make the Internet a key part of your search for homes in the Northeastern School District. Our user-friendly website allows you to browse our extensive property listings at your leisure. Click on any property that interests you and get up-to-date information regarding property details, pricing, taxes and more. View professional-grade photos and take virtual tours to better visualize a property on the inside and out. Other tools include a mortgage calculator to give you an idea of what your monthly payments for a given property would be, and an affordability calculator to help you determine if a property fits your budget. We also highly recommend downloading our feature-laden mobile app to your smartphone or tablet. You’ll be able to stay up-to-date on the latest developments in Northeastern School District real estate while you’re on the go. Modern technology can make finding a home easier, but you still need a professional agent to guide you through the complicated process of buying a home. CENTURY 21 Core Partners agents are the best in the local market. They benefit from an exceptional training program and have access to the latest real estate industry tools. What’s most important is that you’ll have the opportunity to work with an agent who will remove the burdens that typically accompany buying a home — we’ll guide you through the process from start to finish. If you’re ready to find your new home in the Northeastern School District, call the York office of CENTURY 21 Core Partners at 717-718-0748. You can also fill out our online contact form, or attend an open house to get a closer look at our listed properties.